As in all Human institutions whose aims are to assemble and to unite, the way towards unification was a very long and tedious one. 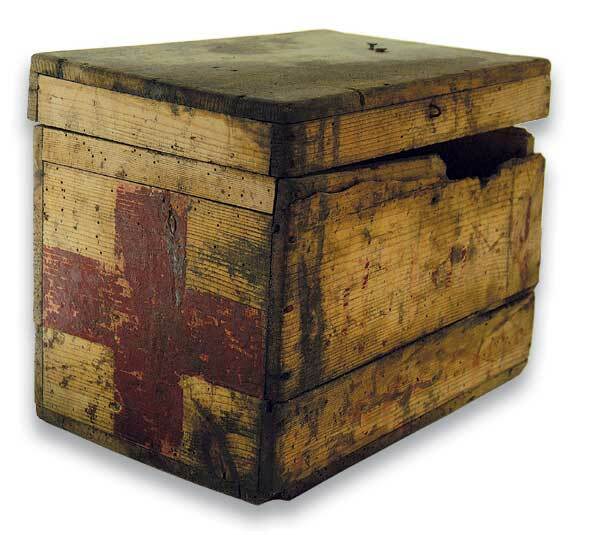 The first association of Catholic Physicians was founded in France in 1884 during the Pontificate of Pope Leo XIII. This was an era of strong anti-Catholicism in France, Germany and England. Other countries saw the formation of Catholic Physicians Associations in the following years but their activities were confined to a local level. The first attempt to coordinate these local guilds on an international level was the formation of an International Secretariat of National Societies of Catholic Physicians founded in Paris in 1924. This Secretariat kept up a regular correspondence with the existing groups and also helped in the formation of other groups. It also organized meetings of Catholic physician groups of European countries. This became the beginning of the International Congresses, the first of which was held in Brussels in 1935. During the Fourth Congress, in Rome in 1949, a second secretariat was founded in Rome, which was independent of the one in Paris. In 1951, during the Fifth International Congress held in Paris, a new International Secretariat was temporarily formed combining the two previously existing secretariats. Its mission was to establish a genuine International Federation of Catholic Medical Associations. International Congresses were held in Dublin in 1954, in the Hague in 1956, in Brussels in 1958, in Munich in 1960 and in London in 1962. At the time of the 11th. 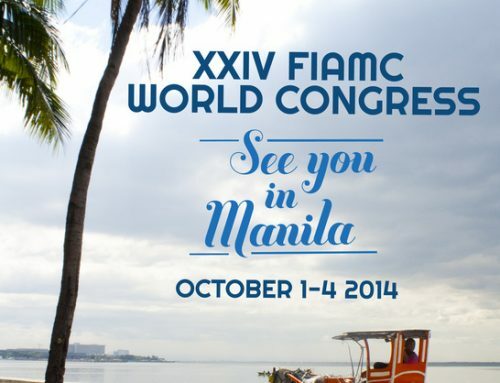 Congress held in Manila in 1966, the official Statutes and Bylaws of FIAMC were adopted by the General Assembly and approved by the Holy See. This was the legal and statutory birth of FIAMC. Since that time, other national associations from Australia, New Zealand, Africa and Latin America have become members of FIAMC, so that at present FIAMC has representation from all its six regions comprising the continents of the world. 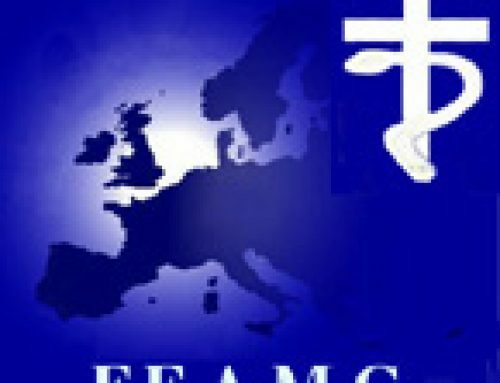 FIAMC then is truly a worldwide organization. FIAMC has its permanent secretariat in the Vatican City (Diocese of Rome). To run over the history of the F.I.A.M.C. permits to check the past relative far and to remember important facts which will help to understand the past and its influence on the contemporary situation. What strikes most when studying the reports of these congresses is that the fundamental problems raised by its existence stay essentially the same, in spite of the development and the progress of science these have become more complex and more important. When situating the past of the F.I.A.M.C. we can speak of a hundred years, because its origin ascend higher and possesses a solid foundation. The 27th September 1886, Dr. Le Bèle of Le Mans, originated the first association of Catholic Physicians that took the names Saint Luc, Saint Come and Saint Damien; this forming resulted from the appeal made to the Christians by the Holiness Pope Leo the 13th in his encyclical letter “Humanum Genus” of April 20, 1884, directed against the atheistic materialism which was already at the time, gnawing at the soul of society. Many associations were formed in a lot of countries but their action needed coordination. In 1924, Dr. Octave Pasteau of Paris founded under the impulse of His Holiness Pius the 11th, like he remembers it himself from the 3rd congress of the F.I.A.M.C. in Lisbon in 1947, an International Secretariat of National Societies of Catholic Physicians, of which he-himself became secretary. At that moment, there existed societies in Germany, England, Argentine, Austria, Belgium, China, Denmark, Spain, United States, Holland, Hungaria, Italy, Luxembourg, Poland, Switzerland, Czechoslovakia, Tunisia. This secretariat thus constituted the first step towards the unification of the different societies. It took part in the organisation of meetings grouping physicians from several European countries, held in Budapest in 1930 and in Paris in 1934. In 1935, the first International Congress was held in Brussels. The theme was: “The role of physicians and associations of catholic physicians in the Christian rebuilding of society“. It was organised by the Belgian Medical Society of Saint-Luke under the presidency of Dr. M. Wibo, with General Secretary Dr. Goedseels and reporter Dr. A. Thulliez, knew a great echo. His Holiness Pope Pius the 11th, by voice of Cardinal Pacelli, addressed the following message: “Express the most fervent wishes that such a noble resolution may find the largest possible application and be crowned with very comforting successes”. The emphasis was laid in the importance of the intellectual apostolate of the physician and of associations of catholic physicians, on their social role, on the preparation at the university and the Christian education of young physicians. The following serious problems which still occupy us today, were already evoked, such as: the influence of mass media, the dangers of an agnostic and materialist society which leaves the state to decide about family, conception, births, abortion, sterilisation, euthanasia. Two hundred congressmen took part in these congress, many countries were represented there: Austria, Spain, Great Britain, Hungaria, France, Italy, the Netherlands, Switzerland. Germany, Chili, Columbia, the United States, Ireland, Poland, Czechoslovakia, Yugoslavia had sent their consent. In 1936 the second congress took place in Vienna. The theme was: “Eugenics and sterilisation“. Organised by the Society of Austrian catholic physicians, under the presidency of Prof. Hofer and the high protection of Cardinal Innitzer. A clear and courageous attitude was adopted against the racist themes: “sterilisation cannot improve the race, it constitutes an intermediate step between abortion and euthanasia” – unanimous approbation of the Ogino-Knaus method. The participants, numbered 300, came from Germany, Austria, Belgium, Denmark, Spain, Great Britain, the Netherlands, Hungaria, France, Italy, Poland, and Switzerland. The second World War prevented the organisation of a congress that would have taken place in Rome. In 1947 the third International Congress took place in Lisbon. It was a congress of joyful encounter after the long separation caused by the war. The remarkable Actas, counting more than thousand pages, and the Bibliographic Exposition, more than 400 pages and containing unique iconography prove this. The theme was: “Individual and Collective Medicine“. It was inspired by the message of His Holiness Pius the 12th, who insisted on the indescribable rights of man. Certain speeches have a prophetic context, of which the accuracy has been checked: an example is the speech of Prof. Joao Porto, president of the congress, concerning the individual medicine. He said: “there are different problems concerning the medical-surgical techniques which cannot be resolved without the framework of the conception one has from the human life… The catholic and the atheistic materialist answer in a different way”. Concerning the Collective Medicine, it is useful to take a new passages from the statement given by Dr. R. de Guchteneere, Belgian gynaecologist: “National medicine that makes an official out of a physician can only have contempt for everything, in the medical art, what it is specific and irreducible individual”. Later on, he establishes that the system of the national social security annuls the national cashes set up by free authorities, which hold on to social and different philosophical conceptions: “do not forget, he said, that Nietzsche saw a patient as a parasite of the society and the physician as performer of dirty works” (Actas p.125). Four hundred physicians from 16 different countries participated in the congress, coming from Belgium, Brazil, Canada, Chili, Denmark, Spain, France, Great-Britain, Italy, Ireland, the Netherlands, Portugal, Rumania, Sweden, Switzerland and Czechoslovakia. (Accao Medica XII, 45-48, pp 125,1948). In 1949 the 4th congress took place in Rome, under the presidency of Prof. L. Gedda. The theme was: “The respect of the human being in medicine”. The congress was organised by the Association of Italian Catholic Physicians. Artificial insemination figured on the order of the day. “Facing this problem, physicians ought to be very cautious and even reject it; certain artificial means uniquely destined to facilitate the natural act or to make it possible for the normal act to reach its goal, are not prohibited, however” (His Holiness Pope Pius 12th). 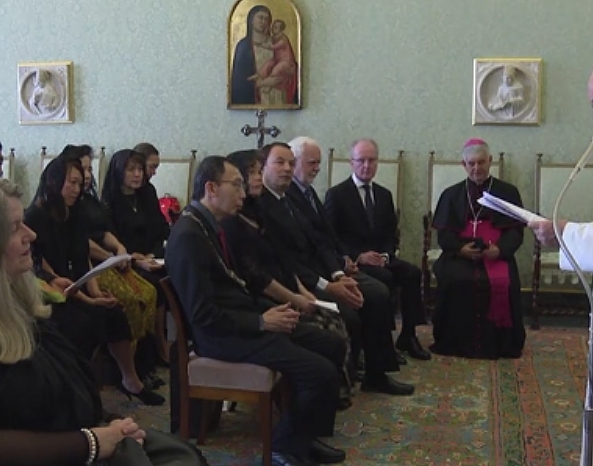 The reception at the Palace of Castel Gandolfo constituted the culminating point of the congress. Not less than 30 countries took part in this congress, grouping 700 participants. In 1951, the 5th Congress took place in Paris. Theme: “The forming of the conscience in children“. This congress, organised by the Association of Catholic Physicians of France, was presided by Dr. Grenet, assisted by the secretaries Dr. Michon and Dr. Launay, it was opened in the presence of the Apostolic Nuncio, His Grace Roncalli, later on Pope John the 23rd. The physical, psychical and moral development of the child were studied in its multiple aspects: the pathological psycho-analytical and pedagogical one. The Reverend Riquet s.j. almoner and spiritual inspirer of the French Catholic Physicians pronounced the homily during the Sunday Mass in the Notre-Dame Cathedral. The more than 400 participants belonged to the following countries: Germany, Argentine, Austria, Belgium, Brazil, Canada, Spain, the United States, France, Ireland, Italy, Lebanon, Luxemburg, the Netherlands, Portugal, Sarre, Switzerland, Tunisia. During this congress, a new International Secretariat was founded temporary, with the mission the foundation of a real International Federation of Associations of Catholic Physicians, the F.I.A.M.C., the chairmanship was given to Prof. L. Gedda. The next congresses were held under the auspices of this secretariat. In 1954, the 6th congress took place in Dublin. Theme “Demography and its medical incidence“… The congress was organised by the Guild of Irish catholic physicians, under the presidency of Dr. Brennan. The problems of demography were studied from the general viewpoint, the viewpoint of obstetrics, gynaecologists, geriatrics, psychologists, from the social and nutritive viewpoint. Dr. Moriguchi (Japan) offered a moving testimony stating that in his country, 1 500 000 legal abortions were practised every year. Eighteen countries were represented there, among which Austria, Belgium, the United States, Great-Britain, the Indies, Ireland, Japan, France, Malta, Mexico, the Netherlands, and Portugal. In 1956, the 7th congress was organised in the Hague Scheveningen by the society of Dutch Catholic Physicians. The theme was: “The Physician and Law“. The congress was introduced by the message of His Holiness Pope Pius the 12th, and honoured by the presence of Her Majesty the Queen of Holland. His Holiness Pius the 12th addressed an important message, a thorough study of medical law, of the physicians position about law and medical morals. Canon L. Janssens (Catholic University of Louvain) summarised the problem in a concrete way: “morality obliges for the conscience and has no power over people who do not bother about conscience, whereas law uses coercive means, has a social function. Moral norms are absolute and universal, invariable, law compromises several systems according to periods and peoples. In order to stay active, society has to rely upon the dynamism of the moral and the conscience of its members”. With over 500 participants, twenty-one countries were represented, among which: Germany, Austria, Belgium, Denmark, Spain, the United States, France, Great-Britain, Italy, Ireland, the Netherlands, Portugal, and Switzerland. The reproduced account book is of great interest. (Uitgeverij Het Spectrum, Utrecht, Antwerpen, 1958). In 1958 the 8th International Congress took place in Brussels. 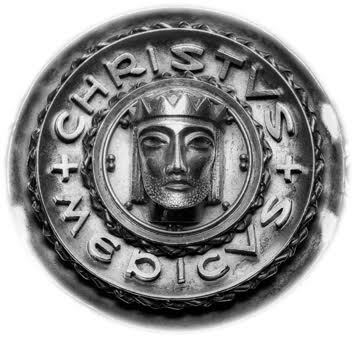 Theme: “Christianity and Health“. The congress was organised by the Belgian Medical Society of Saint Luke, presided by Prof. P. Van Gehuchten, assisted by Dr. Saussez, secretary general of the congress. It was hold together with the 1st Catholic World Health Conference. His Holiness Pope Pius 12th addressed a wireless and television message in which he appealed for collaboration between all the medical, paramedical, and hospital groups, in the respect of the human being and fundamental norms which determine the conscience. Three thousand international representatives, descended from over forty countries and belonging to 7 different medical and paramedical disciplines, participated in the congress. In 1960, the 9th International Congress took place in Munich (it was held together with the Eucharistic Congress). The theme was “The physician in the technological world“. The congress was presided by Dr. Leo Norpoth, President of the Association of German Catholic Physicians, and by Prof. Gedda, President of the Secretary of the National Catholic Medical Associations. Pope John the 23rd addressed a message of sympathy to the congressmen. In its conclusions, the congress warned against any specialisation or experimentation which would reduce the physician to a technician of health, which would hazard the integrity of human nature and threaten the laws of natural morality. Twenty-four nations were represented grouping 400 members, among them representatives of the Philippines and Vietnam. The reproduced account collection was published in 1961 by “Arzt und Christ”. (Otto Muller Verlag, Salzburg). 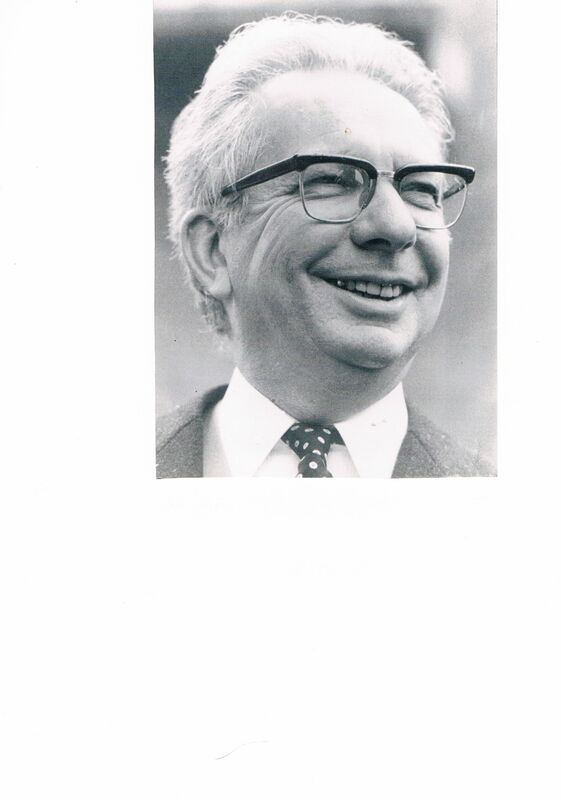 In 1962, the 10th congress took place in London and its theme was: “The Catholic Physician in societies in evolution“, organised by the Guild of English Catholic Physician presided by Dr. O’Sullivan. The congress was patronised by Cardinal Godfrey, who, in an allocution, summarised the essence of catholic doctrine in connection with medicine: the dignity of the human being, seen in its totality, man’s right to personal integrity, his right to secrecy concerning his physical and mental health, to such an extent that this does not form any prejudice to the public welfare, the sovereign right of God over life and death. The works, remarkable of concision and scientific value covered the problems of adolescence, aged persons, desperate cases, mentally disabled people. The situation of medicine in countries recently become independent was discussed as well. This congress was the first genuine World Congress because, due to the participation of several countries from the Commonwealth, all continents were represented, numbering 34 countries and 700 participants. Were present especially Australia, Ceylon (Sri-Lanka), Taiwan, Hong-Kong, India, Japan, Nigeria, New Zealand, the Philippines, Tanganika, Rhodesia (Zimbabwe), Vietnam. From this congress onward, the congress of the F.I.A.M.C. took place every four years. In 1970, the 12th congress was held in Washington D.C.: The theme was: “The Catholic Physician and the conservation of life“. 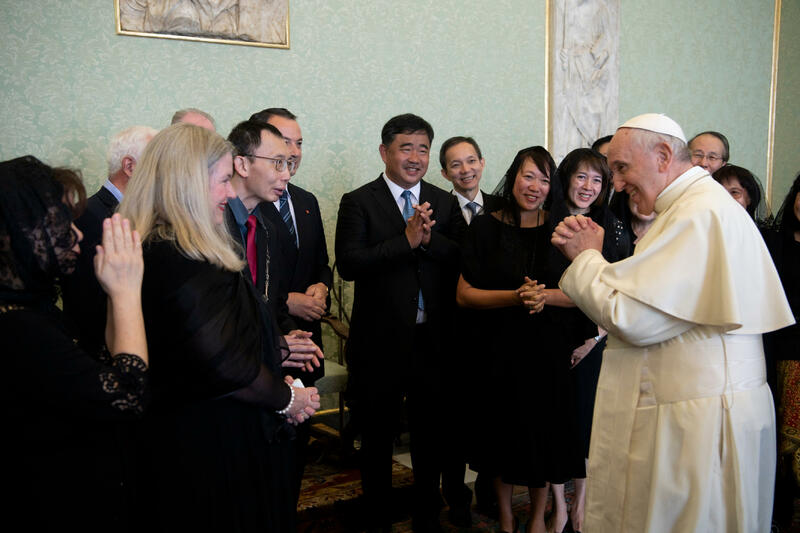 It was presided by Dr. M. Alimurung, president of the F.I.A.M C. and by Dr G. Papola, president of the Association of Catholic Physicians of the United States, in the presence of His Grace Raimondi, Apostolic Delegate of the Holy See in Washington. A message from His Holiness Pope Paul the 6th addressed by Cardinal Villot to Dr Ferrugia (Malta), secretary general of the F.I.A M.C., was communicated then. The most recent advancements in the field of bio-engineering ware expounded. The fatal effects of abortion in Japan were commented upon by Reverend Arupe s.j. : within a time lapse of twenty years, twenty million abortions were performed with the collaboration of many thousands physicians registered as such, after two years of specialisation, payed for each performance. Suicide, reanimation, organ transplantation thus figured in the order of the day. During this congress, the new statutes of the F.I.A.M.C. were approved unanimous. About 250 physicians attended to the congress coming from North America (U.S.A. and Canada), South America (Argentine, Chili, Mexico, and Uruguay), Asia (China, Korea, the Indies, Japan, Pakistan, the Philippines, and Singapore), Africa (Rhodesia-Zimbabwe), Europe (Germany, Belgium, Denmark, Spain, France, Great-Britain, Ireland, Luxemburg, Malta, the Netherlands, and Switzerland). In 1974, the 13th congress was held in Barcelona. The theme was: “The freedom of the children of God“. The congress was honoured by the presence of Prince Juan Carlos. It was presided by Dr. O’Sullivan (G.B), president of the F.I.A.M.C., and was organised by Dr. José Mercadal Peyri, by secretary general Dr. José Massons, under the high patronage of this Eminency Cardinal Jubany. In the name of His Holiness the Pope, Cardinal Villot addressed an encouraging message. His Grace Harris, Ecclesiastical Counsellor of the F.I.A.M.C., pronounced a homily on the themes of the congress in Barcelona Cathedral. Different speakers developed themes in the conception about freedom in the relationship between physician and patient, social security and nationalisation in medicine. The situation in the developing countries was examined. 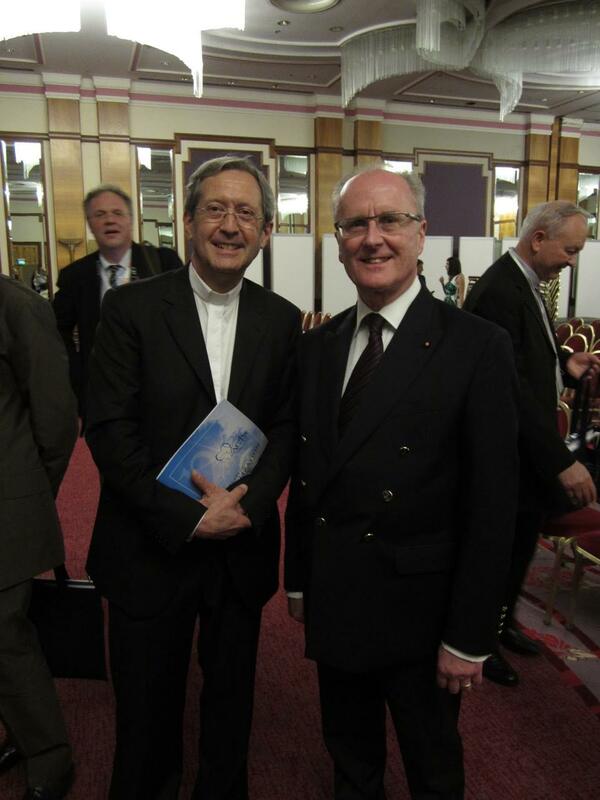 Prof. Kurt Rahner, s.j., of Munich, delivered a speech on “The Patient’s freedom from a theological viewpoint. 400 physicians from the five parts of the world were present. In 1978, the 14th congress was held in Bombay. The theme was “The quality of life in a society in evolution“. It was presided by Dr. G. Papola (U.S.), president of F.I.A.M.C., and organised by Dr. Chicot Vas, president of the Association of Catholic Physicians of the Indies. It took place under the patronage of His Eminency Cardinal Valerian Gracias and was honoured by the presence of Archbishop G. Caprio, delegate from the Holy See. Numerous speeches highlighted the fact that, modern medicine, highly technical and overspecialised, forgets the respect due to the human being and the signification of real quality of life. His Grace Harris, Ecclesiastical Counsellor of the F.I.A.M.C., underlined very clearly the necessity for the catholic physicians of the whole world to unite. Mother Theresa addressed a affecting message. Numerous physicians, coming from the six areas, members of the F.I.A.M.C., assisted this congress from Africa, Australia, and New Zealand, North and South America, Asia, and Europe. On this occasion, the great vitality of the groups of Asia and the Indies was emphasised. During the plenary reunion of the congress, the acronym “F.I.A.M.C.” was unanimous accepted as official unique acronym for all associations. In 1982 the 15th congress was held in Rome. It was organised together with the F.I.A.M.C., presided by Dr. Papola and by the Association of Italian Catholic Physicians (AMCI), and under the presidency of Prof. de Francescis. It was a grandiose manifestation, illustrated by an academic audience and a message from the Holiness Pope Jean-Paul the 2nd. The theme was about the physician in service of life: numerous works of high scientific level expounded the problems to which modern medicine is confrontated. From religious viewpoint, His Grace Fiorenzi Angelini, Ecclesiastical Assistant of the AMCI, and His Grace D. Lorenzetti, Ecclesiastical Assistant of the F.I.A.M.C., gave remarkable messages about the meaning of life. Besides scientific discussions, numerous meetings were organised. Representatives from the Warsaw Pact Countries (Poland), the African countries (Ghana, Upper Volta), a delegate of nurses L. Fiora (CICIAMS), participated in the debates. There were more than 3 thousand participants, coming from 69 nations, who came back to the source of the Eternal City. (Ref. Report “The Physician in Service of Life“, Rome 1-5 October 1982). In 1986, the 16th congress took place in Buenos-Aires It was presided by Dr. Chicot Vas, President of the F I.A.M.C., and by Dr. T.P. Linehan, General Secretary of the F.I.A.M.C., assisted by Dr. C.A. Carranza and by Dr. Hugo Obiglio, director of the Federation of Catholic Argentine Physicians. It was the first time that a world congress of the F.IA.M.C. 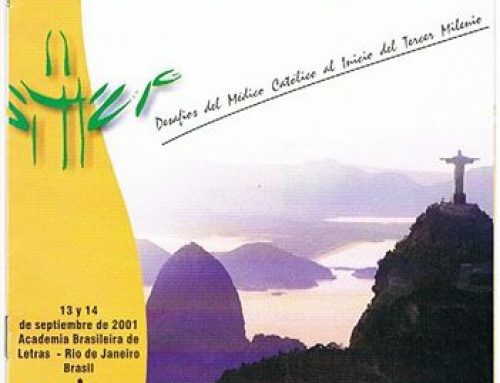 was organised in a Latin-American city The theme of the congress was: “The progress of Medicine and respect for human life”. Cardinal Eduardo Pironio, President of the Pontifical Council for Laymen, addressed a message in name of His Holiness Pope Jean-Paul II, remembering that the F.I.A.M.C. is an organ of the Church, not ecclesiastical, that the catholic physician has the mission to report the healing presence of Jesus-Christ who healed the sick, that he’s a spiritual and physical presence (espiritual y carnal) of Christ. The Peverend D. Basso, o.p., almoner of Argentin Medicine, presented a remarkable report (Iatria, 175, 5-39,1986). Ethics, genetics and euthanasia were the most important subjects examined by prominent specialists from all the continents, all faithful to the same ecclesiastical spirit. The decisions of the congress expressed that fidelity to the absolute and complete respect for life, “accepting that it isn’t necessary to make life longer by exceptional means when death is inevitable”. They insisted on the importance of the education of medical ethics and on the responsability of the catholic institutes: the moral of the “pure conscience” was condemned. A pilgrimage was organized in Lujan, a city devoted to Mary in Latin-America where the General Assemblee of the F.I.A.M C. took place. The congress gave the opportunity to support the Argentine organisers in their effort to expand the activities of the F.I.A.M.C. in Latin-America. It was in this spirit that Dr. Hugo Obiglio was elected Vice-President. More than 350 participants coming from 26 nations, came to Buenos Aires. At the end of the congress! the organization of the 17th International Congress in 1990 was consigned to the Association of German Catholic Physicians (Katholische Arztearbeit Deutschlands), represented by Dr. J Köhne. The historical report published in 1982 in the eve of the congress in Rome, concluded with the evocation of the mission that Peter heard in the Appian road: “Quo Vadis ?” Has this voice been heard ? The demand of His Holiness Pope Leo the 13th was heard in 1884: it had an immediate reaction that received birth in France and was distributed over the whole world. In this way, local groups of catholic physicians existed, the ones from after the First World War gathered in General Secretariats in 1924 in Paris, in 1949 in Rome and in 1951 in Paris. The F.I.A.M.C., also active by means of secretariats since numerous years, was founded in 1966 in Manilla, afther the approval of the statutes by the Holy See and unanimously accepted in 1970 during the Congress of Washington. This was a long way towards unification. The F.I.A.M.C. let hear her voice. It organized numerous congresses of which the themes expressed the same continuance, adapted to the evolution of medicine and of society: remember in particular the International Congress of Vienna in 1936. It already condemned explicitly the Nazi ideology. The F.I.A.M.C. gave the opportunity to speak to a great number of eminent physicians, to theologians, to philosophers, to sociologists who defended the principles of a human ethic inspired by the christian belief. The highest religious authorities were since the beginning of the foundation, their inspiration and their garantie. 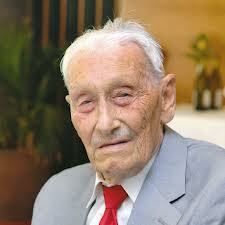 The latest years the progress of the medical science was enormous. The catholic physicians participated, and more than once they were the pioneers of the research: the social medicine has been their great concern: they have participated in the development of several institutions, faithful to the christian doctrine.The voice has been heard and it wasn’t without consequences. Recent events have shown that the wall of the materialistic and atheistic ideology has perished. The catholic physicians, and those who are engaged in the F.I.A.M.C., haven’t defended the christian conception of life in vain. On the eve of the second century, the F.I.A.M.C. more faithful and numerous continues to develop “la Cité de Dieu”, with the help of new men. Mi amigo reside en Gante. Mi amigo se llama Juan. y los lleva al mundo de la claridad. Para ellos no cuentan ni el Bien, ni el Mal. llevado en alas de la Caridad. en mesas gozosas el pan y la sal. ilustre transmisor de la Gran Verdad.